Use new, clean rubber stamps and food coloring to create unique hand-stamped cookies that will be sure to turn heads. Baking and crafting- my worlds collide! You already know that I love to bake, but did I ever tell you about my crafting habit? I can’t draw so I like to buy stamps, and Sharpies, and cute stickers, and things that punch shapes out of colorful paper. My poor crafting table has been jealous of my oven since things have been heating up over here at In Katrina’s Kitchen so I thought this would be the perfect way to remedy that. Have you heard of Sprinkle Bakes? Of course you have. Please say you have. Heather is the talented artist and blogger behind her successful and gorgeous blog by the same title and now she is an author! When the publisher contacted me and asked if I wanted to review Heather’s book I thought surely this was a rhetorical question. So I jumped at the chance (and the publisher threw in a copy for one of you too!). You are actually going to get FOUR chances (!!!) at winning this book- more about that later. This book was a page-turner; I had a hard time doing laundry, washing dishes, making dinner, and all that riveting stuff. I finally decided on making hand stamped cookies. Heather made postcard cookies and they were stunning of course. In the book she talks about how she uses wafer paper to make them. You can find wafer paper online. Since I didn’t have a whole lot of time to get my hands on some (and I didn’t really feel like explaining to my husband why I need to spend our grocery money on overnight shipping for edible paper) I did what I normally do when I need help: I went to Dairy Queen. I asked if I could purchase a sheet of the paper they use to create edible images on their ice cream cakes and the manager sold it to me for a few dollars. As you can see the edible paper I used was not quite as thin as wafer paper and it didn’t create a seamless border. I’m okay with that- no shipping, problem solved, ice cream for dinner, and my family will still be able to eat real food this week. You can use any (new) rubber stamp so the possibilities truly are endless. Let me also mention here that I used this chocolate cut out cookie recipe from Lila Loa…wow. Click through here to see my favorite Small Batch Royal Icing Recipe that I used on these cookies. 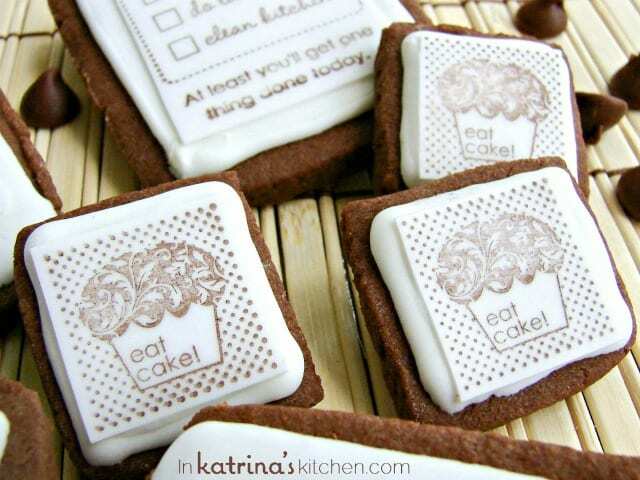 Prepare and cut your cookies to whatever shape that best fits your rubber stamp(s). Bake and let cool completely. Frost with royal icing and let dry overnight. Put a small amount of food coloring into a shallow bowl or plate. Using a small flat-head paint brush (or a cotton swab) brush the ink onto the rubber stamp being careful not to over-saturate. Hold the inked stamp on the edible paper for 2-3 seconds. Gently peel away. Trim off any excess paper and affix to the cookie with a dab of corn syrup. Let dry completely. 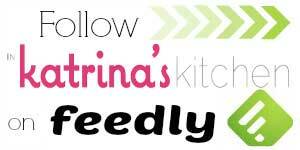 I have teamed up with three other bloggers who are each featuring a recipe from the book Sprinkle Bakes, and we each have one to give away also. Be sure to check them out! This giveaway is closed. The giveaway will run through Thursday, May 31st. Please use the Rafflecopter form below. Start by leaving a comment on this post. You can earn up to 2 additional entries. Disclosure: I was given a copy of Sprinkle Bakes to review. I was not compensated for a positive review. All opinions expressed are my own. Ah!! These are so awesome!! I looove it! 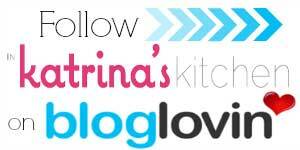 Love your blog and Sprinkle Bakes!! OMG I seriously love these and the fact that you went to Dairy Queen to get the paper just confirms how much of a genius you are! I'd have never thought of that. Definitely a page-turner! We took a three-hour road trip the day that mine arrived so needless to say, my hubs and I didn't share much conversation because my nose was stuck int his book. The cookies are spectacular, Katrina!! Would love to check out her book! I've been working on stamping too but I never thought to use image paper. So clever. Hah the possibilities are endless for these….I'm thinking Mad Libs! Your cookies came out fantastic! 🙂 I've never tried this technique before but am looking forward to giving it a try! Great giveaway, Katrina! These cookies are so beautiful, too! I would love to get my hands on a copy of this book! It looks beautiful! I've never seen anything like those cookies! What a cool technique! What an amazing idea! 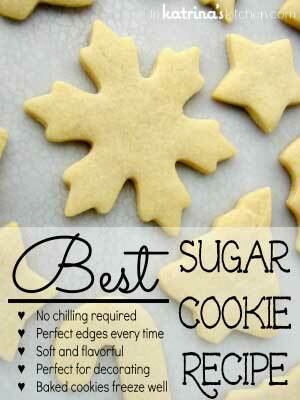 Great way to personalize a cookie easily. Love that you went to DQ to get ur edible sheet!! 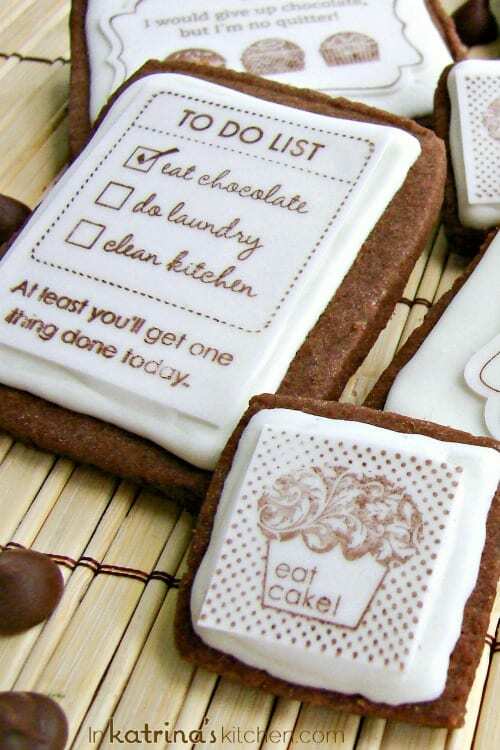 Love this idea – wonder if you can just stamp right on dried royal icing. I love Sprinkle Bakes and would love to win her book!! I can’t wait to try this. The cookies are beautiful! Your recipes are so cute! What a great idea! I never would've thought to go to Dairy Queen to get edible paper. Now I know! Your cookies look delicious too! Looks like a great cookbook. I hope I win. love ur blog and love the fact that i found ur bloh through sprinklebakes! Haha, I love the chocolate one! And by that, I mean all of them! What an amazing idea. I love that you went to DQ. These are awesome! Great job with the cookies! Love how DQ saved the day! All these recipes are so great! I would love to win a copy of this book! 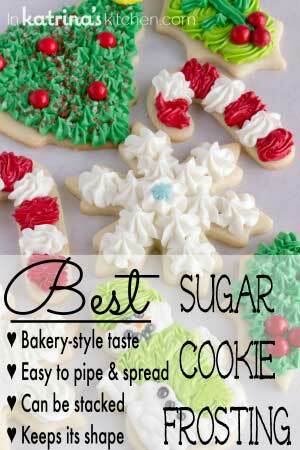 Great looking cookies! My recent post I don't want to make lemonade! I love the cookies above they look so good! Please enter me! Looks like a great prize. This is a great idea for the vintage tea party cookies for my friend's baby shower!! How cute are those cookies. Thanks for the giveaway. OMGoodnes, literary cookies! Here's to sweet endings! So adorable! Ive seen so many cookies where people actually are doing the decorations by hand, and I'm like "I have no art skills or steady hands!!" So now I can make pretty cookies! I would love to win this cookbook! I love the cookies! 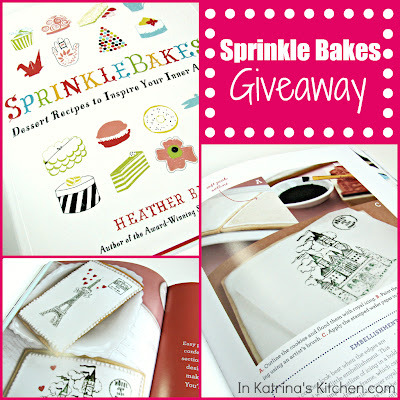 I would love to win a copy of Sprinkles Bakes. I shared this on my facebook wall (Rhonda Keely Darbro). I love these and I love that you went to DQ! So funny! what a great giveaway….thank for the chance! I definitely want to try out the hand stamped cookies. So cute! These are amazing! I have so many stamps I have never used! How fun! And what to do with such fun cookies? Take them and share them with others. Kinda like you do on your blog! Thanks for the chance to win. great ingenuity in going to Dairy Queen. 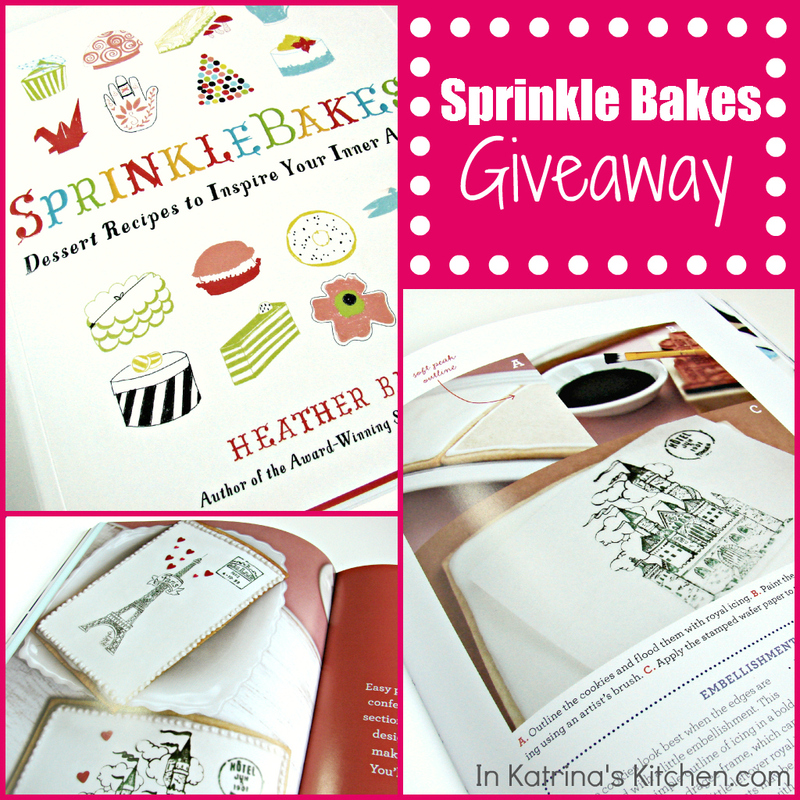 I'd love a chance to win a copy of the new Sprinkles Bakes cookbook. Thanks! I am dying for this cookbook! Your cookies are so amazing. I look forward to seeing your posts and excited about a chance to win the book! I LOVE those stamped cookies! Almost too cute to eat! These cookies look amazing! And it's such a cute idea 🙂 Thanks for sharing this recipe! Super creative! The stamps are so apt. OMG KATRINA!!! Those are stunning!!! I hope I win, I've been dying to try that cookbook! I love Heather's website and would love to win her book! Thank you for the chance to win. Fabulous idea for wedding favours! for wedding favours. The book sounds and looks amazing. Mmmmm really hoping I win this, I need a new sweets cookbook! Great giveaway. Keeping my fingers crossed. 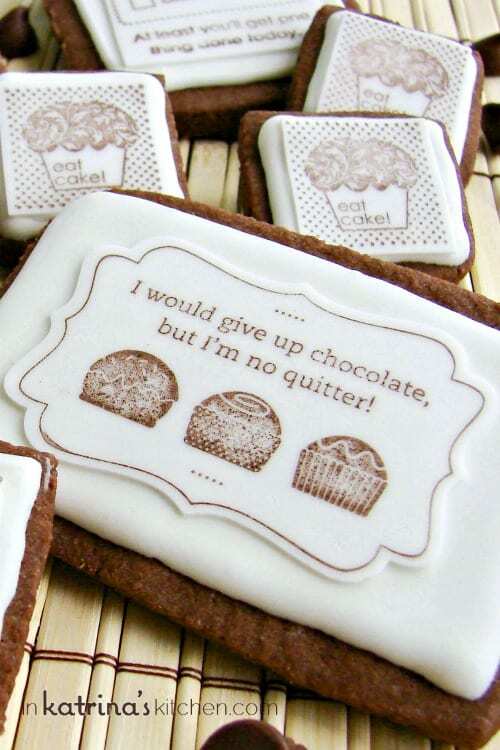 These stamped cookies look so cute…I'd hate to eat them! These are so cute! Thanks for the great giveaway. 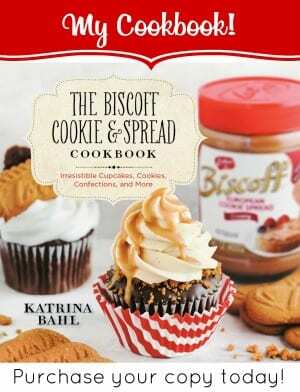 I have her cookbook too, so don't enter me in the giveaway, but these cookies and the stamp idea is just so wonderful! Love it! 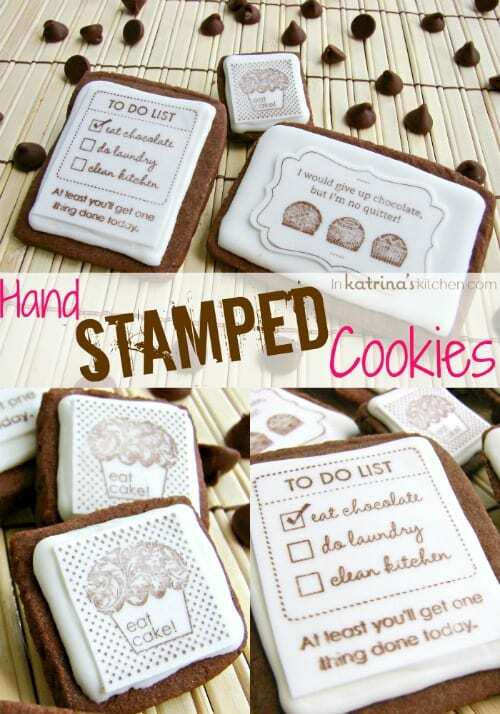 Can't wait to try stamping on cookies, I have a stash of stamps that I bought just for that purpose! Thanks for the chance to win. Those are the cutest cookies, maybe for a girls night or something. this is such a cute and neat idea! Love Sprinkle Bakes and would love to get a copy. Enjoy your blog. Great recipes. Oh my gosh, I would LOVE to own this book! I've been drooling over it for so long!! I was just popping by to say 'hi' and see what you've been up to (I've been up to my eyeballs in the end of school and have not been out reading much) and what a totally charming idea these cookies! Definitely a baker crafter's dream confection. You've done such a great job with them as you always do. Love the picnic cloth cookies too. Hope all is well with you and your brood! Awesome! The cookies look great and I'd like to try out some of Sprinkle Bakes recipes! that's a pretty great idea to go to dairy queen instead of buying the sheets online. Those are the coolest cookies ever! So cool! Definitely trying these as a bridal shower favor! lovely post! I would love to win this book!! HUGE fan of yours and Sprinkle Bakes! Fingers crossed!! How neat! Just found your blog through Pinterest and would love to win! Thanks for giving us all a chance. I love the look of these cookies, can't wait to make and enjoy eating them. I love the idea of using my stamps for baking! These cookies are just gorgeous! These are so awesome, Katrina! Just gorgeous, seriously.